I am jacintha castora (Jacintha van Beveren), artist, photographer (Fotovakschool) and sociologist (Erasmus University). As a child I often came home with a sick bird, which was then cared for lovingly. In my teens, I could not get enough of the story of Jonathan Livingstone Seagull who could fly and detect the world on its wings. My eye is always drawn involuntarily to those beautiful creatures, flying. I enjoy the chirping parakeets and screaming gulls and I have to laugh at their stuff and brutality. I am always aware that I’m in their world and that they are not in mine. 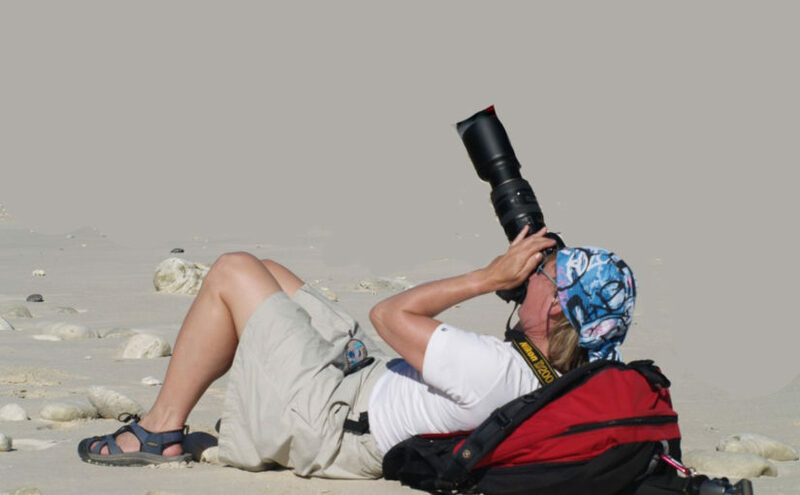 From the time I finished the fotovakschool I specialized in photographing and studying shorebirds. I soon discovered many plastic particles at the tide line, I went shooting the shoreline. I called these pictures “still lifes of death”. Since 2017 I’m looking for Wrackbirds (Jutvogels in Dutch).